The Spring Symposium for the Southwest Catalysis Society will be help on April 26th on the Rice campus (Grand Hall in the Memorial Center). The circular is attached. Registration will begin at 7:30 AM with the technical program beginning at 8:25. We anticipate the meeting concluding by 3:30 PM. There is plenty of parking on the Rice campus: rice.edu/maps/maps.html. There’s visitor parking all over campus (shaded yellow), and the one lot closest to our meeting site is “Central Campus Garage” underneath the Jones Business School (#51). From Hydrodesulfurization to Hydrodeoxygenation: What are the similarities at the atomic-scale? 2013 Southwest Catalysis Society Applied Catalysis Awardee: Prof. Jerry Spivey, Department of Chemical Engineering, LSU, Baton Rouge, LA. Published on April 10, 2013 . Posted in News and tagged Club, SWCS. This year, for the second time, the North Amer­i­can Catal­y­sis Soci­ety (NACS) will be using on-line balloting as the only way to vote for Directors-at-Large. We have contracted with a firm that is experienced in on-line voting to ensure the accu­racy and con­fi­den­tial­ity of the process. The elections are scheduled for March 18th to April 5th. You will be receiving an email message on March 17th with your username, unique password and a link to a restricted voting webpage. The subject headline is “NACS Elections for Directors-at-Large”. Please don’t delete this email until you cast your vote. If you have a problem receiving this email, then you need to contact Edrick Morales at edrickmorales@live.com. The web log-in page will have instructions on how to use your electronic ballot with links to technical assistance in case you have difficulty with the log-in and PDF documents with the pro­posed amend­ments and revised version of the by-laws. You can cast your vote starting on March 18th at 12:01 am. The voting webpage will be held open to those members of NACS (including students) who reside within North America. Background information for each candidate will be available on the ballot site with a hyperlink associated to each candidate’s name. On the ballot website, you will be selecting only six (6) or less members from the slate of 11 candidates for the office of Director-at-Large and one vote to approve or not approve the amendments to the by-laws. The top six candidates will be elected to office if the amendments to the by-laws are approved; otherwise, the top four (4) candidates will be elected. Voters will need to log back in and complete the ballot from scratch if they log-out or close the browser window without submitting their ballot. Your password will be deactivated after you record your vote. Published on March 15, 2013 . Posted in News. The European Federation of the Catalytic Societies (EFCATS) Board announces the extension of the deadline for the applications of two EFCATS awards: the Young Researchers Award and the Applied Catalysis Award. The new deadline is April 15th 2013. The EFCATS Award aims to recognize individual contributions in the field of heterogeneous catalysis with emphasis on theoretical or experimental discovery and understanding of new catalysts and catalytic processes, synthesis and catalytic function of novel inorganic solids and complexes, mechanisms of reactions, deactivation phenomena. The candidates for the award must have already shown the potential for research independence and evidence of maturity. Applicants should also be able to demonstrate a promising track-record of early achievements appropriate to their specific research field and career stage, including significant publications (as main author) in major international peer-reviewed multidisciplinary scientific journals, or in the leading international peer-reviewed journals of catalysis field. They may also demonstrate a record of invited presentations in well-established international conferences, granted patents, awards, prizes etc. Selection of the Award winner will be made by a committee of renowned scientists appointed by the President and vice-president of The European federation of Catalysis Societies. Selection shall be made on the basis of excellence. The award winner must not have turned 41, March 1st of the award year. Thus, nomination documents should indicate the date of birth of the nominee. A presentation letter in which the merits of the candidate are detailed. The presentation letter should be prepared by the person proposing the candidate. The candidate’s CV (highlighting a date of birth). Nomination documents should be submitted in one complete package to the President of EFCATS (Avelino Corma at corma@itq.upv.es) before April 15, 2013. Selection of the Award winner will be made by a committee of renowned scientists including a majority of current or previous industrial scientists appointed by the President and vice-president of The European federation of Catalysis Societies from names suggested by members of the EFCATS board. Committee members who are current or recent employees of the company of any nominee shall abstain from voting on that proposal. Selection shall be made on the basis of excellence scientific novelty, technical achievements in development and scale-up, interdisciplinary teamwork between scientists and engineers, with emphasis on actual or potential commercial application. A list of the achievements of the candidate(s) confirmed by the company applying the new contribution within a supporting letter. A detailed CV of the candidate(s). Published on March 13, 2013 . Posted in News. Founder of a personal, global consulting business, GlobalCatalysis.com. My dedicated interests in catalysis continue through occasional technical publications (such as Catalysis Today 178 (2011) 8), invited lectures, and attendance at major national and international catalysis focused meetings. I bring over 40 years of experience in catalysis beginning with my undergraduate research at Penn State University and my PhD work at Stanford University. After receiving my doctorate degree, I spent 4 years as an assistant professor at Boston University, then joined Allied Chemical Corporation’s central research center for 11 years, and moved to Air Products & Chemicals to lead a catalysis research center before retirement. My past role with the NACS (8 years as President and 7 years as Treasurer) focused on bringing visibility to the catalysis community at large, establishing our popular website, returning excess proceeds from our NAM meetings to the membership, strengthening the financial position of the NACS as well as the individual clubs, building up the corpus to the Keith Hall Educational Fund, establishing new ways to provide educational assistance to the membership, and enhancing the number and identity of our professional Awards program. Having stepped aside from a leadership role in the NACS for the last 4 years, I would like to rejoin the Board of Directors and again work for the membership at large. I would like to continue to serve as a resource to the Society by participation in Board activities while mentoring new generations of our leaders, because I believe there is more that I can still contribute. Jingguang Chen started his career at the Exxon Corporate Research Laboratories before joining the faculty at the University of Delaware, serving as the Claire LeClaire Professor of chemical engineering and Director of the Center for Catalytic Science and Technology. In the past two decades he has been actively serving the catalysis community, including the Catalysis Secretariat of ACS, Chair of the Gordon Research Conference on Catalysis, Kokes Chair for the Philadelphia NAM, and co-founder and team leader of the Synchrotron Catalysis Consortium. He has served as the Director-at-Large of NACS since 2005. His recent contributions as DAL included the application and distribution of travel grants to graduate students and young faculty to the ICC meeting. If re-elected he would like to help establish a more formal process in NACS in applying and granting travel assistance to catalysis conferences. Abhaya Datye has been on the faculty at the University of New Mexico since 1984 and presently serves as the undergraduate advisor for chemical engineering and formerly served as Associate Chair. He serves as Director of the Center for Microengineered Materials, a strategic research center at UNM that reports to the Vice President for Research. Abhaya received his Ph.D. in chemical engineering from the University of Michigan in 1984. He has authored over 240 publications, 3 patents and has presented 120 invited lectures around the world. He was the Chair of the Gordon Research Conference on Catalysis in 2010. He served as the program co-chair for the North American Catalysis Society meeting at Snowbird, UT. He has been actively involved in the Western States Catalysis Club, where he has served as president and as the Club representative to the NAM board. As a Director at large for the Society, he plans to enhance the visibility of catalysis and to get new students, especially graduate and undergraduate students into the field. His research group has pioneered the development of electron microscopy tools for the study of catalysts. Using model catalysts, his group has shown metal/support interfaces can be studied at near atomic resolution. His current work involves the synthesis of biorenewable chemicals, fundamental studies of catalyst sintering, alcohol reforming into H2 and synthesis of novel nanostructured heterogeneous catalysts, especially the stabilization of isolated single atoms on supports. He leads the NSF Partnership for International Research and Education (PIRE) on Conversion of Biomass derived reactants into Fuels, Chemicals and Materials (a collaboration between faculty and researchers in the US, Denmark, Germany, Netherlands and Finland). Published on March 3, 2013 . Posted in News. Below is an overview of the proposed amendments, as well as a rationale for each one of them, followed by the full text of the by-laws. The rational to amend the by-laws was coded using a blue-italic font, deletions were strike-through and amendments were coded using an italic font highlighted in yellow. View the Letter form the President for more information. A PDF version of this document is available at Proposed By-laws – February 2013. Rationale: Apply this consistently to all officers, not just to the President and Secretary, as currently stated. Section 1. The at-large members of the Board of Directors to be elected by the membership at large shall be elected from a slate of not fewer than ten (10) nominees selected by the Nominations Committee, appointed by the President. Election shall be by electronic ballot of the membership of the NACS. Any member of the NACS shall be added to the slate upon receipt by the President of the (NACS), no more than one-half of whom shall be members of any one affiliated catalysis society(ies), provided that the petition shall be received by the President prior to the first of January of the year in which new members of the Board of Directors are to be elected. Election shall be by plurality vote. The elected at-large members of the Board of Directors will be seated at the next meeting of the Board of Directors and will be the at-large members who vote for the election of new officers. Proposal: Increase number of Directors-at-Large from 4 to 6 and the required number of candidates from 7 to 10. The current number of DAL date to a time when membership and local clubs were fewer than today and they represent a smaller fraction of the Board than in earlier times. The “at-large” members represent the community at the national level and they are the only members of the Board elected by the entire membership of NACS. DAL are more permanent members of the Board than the local representatives, which often change between meetings due to rotations and local elections; DAL also tend to attend these meetings with fewer instances of substitutions. In doing so, DAL represent a cadre of experienced board members and provide meeting-to-meeting continuity, as well as a pool from which to draw in case of unexpected or planned rotations of officers. Section 2: The act of the majority of the members of the Board of Directors present at a meeting of the directors at which a quorum is present shall be the act of the Board. Members of the Board of Directors may participate in a meeting of the Board by means of conference telephone or similar communications equipment whereby all persons participating in the meeting can hear each other, and participation in a meeting in this manner shall constitute presence in person at the meeting. In the absence of a meeting by a majority of the members of the Board, resolutions can be enacted by a majority written consent of all the members of the Board. Rationale: “Unanimous written consent” as in current bylaws is not consistent with our operating rules, by which all motions are approved by a majority of the votes cast. Section 3. The Executive Committee shall comprise of elected officers and key functional positions within the NACS. Members of the Executive Committee shall be designated by the President, but should include: the President, Vice-President, Secretary, Treasurer, Lead Trustee of the Keith Hall Educational Fund, Communications Director, Archivist, and the most recent living past President. Rationale: The modification of Executive Committee members reflect the changes of Officers approved by the Board in the past meetings. The original bylaws were unclear about which past-President was meant. Section 1. These Bylaws may be amended by a majority vote of the members voting either (a) in person, by proxy or by ballot receive at a duly convened membership meeting of the (NACS), or (b) by electronic ballot circulated at the instance of the Board of Directors, provided that notice of the proposed amendment shall be contained in the notice of such duly convened meeting or in such electronic ballot so circulated. Rationale: Previous NACS postal mail ballots have led to <20% vote yields and included many returned ballots because of outdated postal addresses. A shift to electronic voting has led to nearly 50% responses, while ensuring the confidentiality, integrity, and accuracy of the process. Electronic ballots have become the norm for all learned societies, as well as for corporate shareholder votes more generally. Section 1. These Bylaws shall be adopted by a majority of votes cast of the general membership as herein provided, and shall become effective immediately thereafter. Rationale: The current wording is unclear and the interpretation could be equivocal. A majority of votes of the general membership, as in any election, is not certain to be achieved because not all members may choose to participate in the voting. Section 1. The officers of the NACS shall consist of a President, Vice-President, Secretary, Treasurer, Lead Trustee and Foreign Secretary Communications Director. Section 2. No one person shall be entitled to hold the office of President and Secretary two office positions at any one time. Section 5. The Foreign Secretary shall attend all meetings of the Board of Directors and perform the following duties: maintain contact with other catalysis societies outside North America and maintain records of correspondence with these societies, distribute the NACS Newsletter to other catalysis societies and serve those functions of the Secretary with foreign members, serve as one of the two NACS representatives to the Council of the International Association of Catalysis Societies, and perform such other duties as may be prescribed by the Board of Directors or by the President, from time to time. The Lead Trustee shall monitor and assign variety of investment vehicles with input from trustees; lead sub-committee (of trustees, President and Treasurer) that reviews investment decisions; review investment strategy (biannual); generate annual financial report by March 15 for IRS reporting; and with accountant prepare 990 tax form and submit to IRS by May 15 of each year. Section 1. The Board of Directors shall consist of members elected by the affiliated catalysis society(ies), one from each, four (4) six (6) members elected from the members elected at large by the membership of the (NACS), and any officers (elected by the Board) who are not already members of the Board. Section 1. The members of the Board of Directors to be elected by the membership at large shall be elected from a slate of not fewer than seven (7) ten (10) nominees selected by the Nominations Committee, appointed by the President. Election shall be by mail electronic ballot of the membership of the NACS. Any member of the NACS shall be added to the slate upon receipt by the President of the (NACS), no more than one-half of whom shall be members of any one affiliated catalysis society(ies), provided that the petition shall be received by the President prior to the first of January of the year in which new members of the Board of Directors are to be elected. Election shall be by plurality vote. The elected at-large members of the Board of Directors will be seated at the next meeting of the Board of Directors and will be the at-large members who vote for the election of new officers. Section 2. The act of the majority of the members of the Board of Directors present at a meeting of the directors at which a quorum is present shall be the act of the Board. Members of the Board of Directors may participate in a meeting of the Board by means of conference telephone or similar communica­tions equipment whereby all persons participating in the meeting can hear each other, and participation in a meeting in this manner shall constitute presence in person at the meeting. In the absence of a meeting by a majority of the members of the Board, resolutions can be enacted by unanimous a majority written consent of all the members of the Board. Section 3. The Executive Committee shall be comprised of elected officers and key functional positions within the NACS. Members of the Executive Committee shall be designated by the President, but should include: the President, Vice-President, Secretary, Treasurer, Foreign Secretary, Lead Trustee of the Keith Hall Educational Fund, Communications Director, Archivist and the most recent living past President. Section 1. These Bylaws may be amended by a majority vote of the members voting either (a) in person, by proxy or by mail ballot receive at a duly convened membership meeting of the (NACS), or (b) by mail electronic ballot circulated at the instance of the Board of Directors, provided that notice of the proposed amendment shall be contained in the notice of such duly convened meeting or in such mail electronic ballot so circulated. Section 1. These Bylaws shall be adopted by a majority vote of votes cast the general membership as herein provided, and shall become effective immediately thereafter. Published on February 23, 2013 . Posted in News. In the next few weeks, all members of the North American Catalysis Society (NACS) will receive a ballot via electronic means. This ballot will request your vote for six of the eleven candidates for the position of Director-at-Large and also your vote regarding modifications of the by-laws of the Society. I encourage you to exercise your voting rights within the specified voting period. Directors-at-large (DAL) serve four-year terms and are elected by the entire membership. Their new term will start during the NAM23 in Louisville. Elected DAL represent the entire membership by attending annual NACS Board meetings. The Board consists of the NACS officers, one representative from each local or affiliated society, and the DAL. The ballot will concurrently ask for your approval of modifications of the by-laws, including one to increase the number of DAL from four to six; if the modified by-laws are not approved, the four DAL candidates with the largest vote count will serve. The modifications of the by-laws that are submitted for your approval consist of a series of motions already approved by the Board in the intervening years since the 2003 version. The electronic ballot will include a detailed description of such changes as well as a rationale for each one of them. These materials were posted into a single document that shows an overview of the proposed changes followed by the full text of the by-laws at Proposed By-laws – February 2013. NACS consists of 14 affiliate local clubs and societies in Canada, Mexico, and the United States and well over 1,500 members. It was founded in 1956 and its mission includes the stewardship and support of NAM and logistical support and seed financial funding to the local organizing committees. NACS also provides joint funding for Kokes awards, presented to students to attend NAM, and financial support for students to attend the regular meetings of the local clubs and societies. 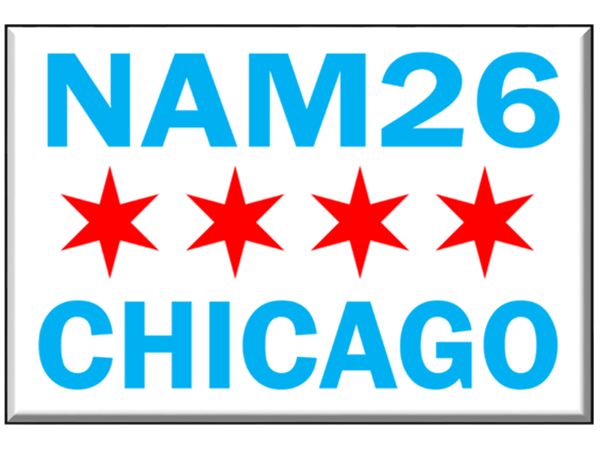 On behalf of the NACS leadership and its governing board, I encourage you to vote and I look forward to seeing you at NAM23 in Louisville (June 2-7, 2013; www.nam23.org/). Published on February 20, 2013 . Posted in News. Donna Blackmond (Emmett Award 2001), Thomas Degnan (Ciapetta Lecturer 2013) and Henrik Topsoe (Houdry Award 2005) have been elected to the National Academy of Engineering. Published on February 7, 2013 . Posted in Award, News. The 2013 Tanabe Prize for Acid-Base Catalysis will be awarded to Johannes A. Lercher, who receives the prize in recognition of his substantial contributions to the field of acid-base catalysis. The award ceremony will take place at the 7th International Symposium on Acid-Base Catalysis in Tokyo, Japan May 12-15, 2013. Johannes A. Lercher studied Chemistry and received his PhD at TU Wien. After a visiting lectureship at Yale, he joined TU Wien as lecturer and later Assoc. Professor. 1993 he was appointed Professor at the University Twente, Department of Chemical Technology, and moved in 1998 to his current position as Professor of Chemical Technology at TU Munchen. Since 2011 he is also Director of the Institute for Integrated Catalysis at the Pacific Northwest National Laboratory. He is external member of the Austrian Academy of Sciences and Member of the Academia Europaea, and holds several Honorary Professorships. He serves currently as Editor-in-Chief of the Journal of Catalysis. Research is focussed on fundamental aspects of oxide and molecular sieve based sorption and catalysis, new routes to activate and functionalize hydrocarbons, deconstruction and defunctionalization of biomass, the mechanistic understanding of hydrotreating catalysts, and the in situ characterization of catalytic processes. Published on February 6, 2013 . Posted in Award, News.